Debra Knodel & Jane Valencia are your musical guides to the enchanted realm of Forest Halls. They celebrate the magic of the harp in a joyful music woven of Celtic melody, world rhythms, and lighthearted improvisation. Performers together since 1990 Knodel & Valencia have three CDs – Masque, Forest, and On A Snowy Eve (with the duo Silverwood). They are honored to have performed with Celtic harp luminaries Kim Robertson and Patrick Ball. You can listen to their music for free! Born in Wyoming, and having lived from Alaska to California, Deb is a woman of woods and mountains. She was drawn to the Celtic harp after seeing a willowy and ethereal woman playing at the Renaissance Faire. Hoping the harp would render her willowy and ethereal as well, Deb took to it with a vengeance. Willowy and ethereal never materialized (“They’re just never there when I need them!” she quips), but a lifelong obsession with harp and music did. Jane grew up yearning to live a magical life. 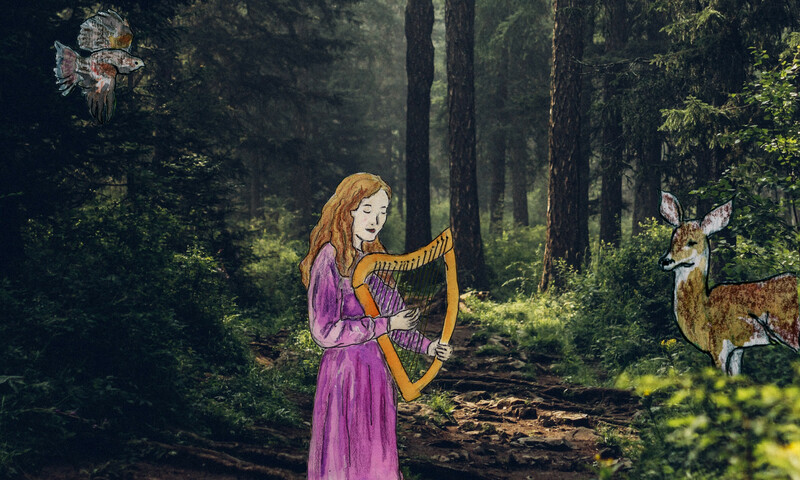 She discovered that learning the harp, storytelling, and immersing herself in nature’s magic has not only made her dream come true, but helped her to discover how magical her life has always been! 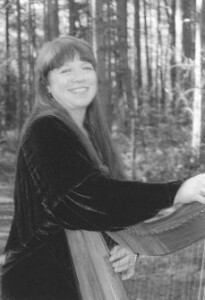 Jane offers Celtic harp, story, and song in performances, as well as in her work and play of sharing nature’s magic with kids all ages. Outside of Forest Halls, Jane serves as a nature instructor with the Vashon Wilderness Program, within which she tells plenty of stories, sings many songs, discovers first hand the lore and wisdom of the forest, and even plays the harp from time to time. 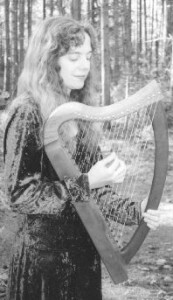 With a background in classical and early music, Jane took up harp after studying medieval Welsh bardic poetry in Wales. With her harp, Jane has found that she can weave everything she loves into bardic harp performance, including folklore, song, poetry, art, and the beauty and wonder of nature. She has a solo CD RoseGarden. Visit FoxTales for Jane’s magical stories and fun for kids, families, and creative adventurers. 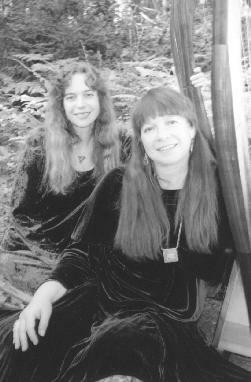 In 1994 Deb and Jane created and performed Forest, a concert that intermingled bardic storytelling, harp, and art and brought listeners into the mythic realm of “Forest Halls”. Today Forest Halls has its own life as a realm of magical nature and enchanted fun! A melody that always seems to get kids dancing!